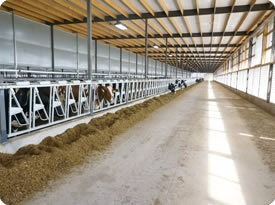 In regions of the world with extreme heat and low electrical costs, dairy facilities are increasingly becoming wider. These wide facilities use panel/curtain openings on one side and blocks of fans along the opposing side. The panels can be mounted either internally or externally. 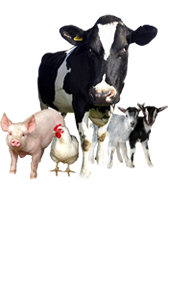 This cross flow system can be linked to misting, an evaporative cooling system that maximizes animal comfort. Sun-North can design and provide equipment and controls to co-ordinate the ventilation requirements for this type of facility.